Let me compliment your company for sending two very courteous and thoughtful workers to install the AC/Heating system. They appeared very efficient and were friendly. One of them was even an Auburn fan. Just a short note to thank you for your prompt service to our A/C problem. The two men that came out to make the repairs were very courteous and did a great repair job. They also gave us some A/C and heating tips to help save energy and be more comfortable. Keep up the good work! I simply wanted to share how impressed I have been with your company. The young lady answering the phone is very polite and professional. On one of the days when something had gone wrong, she actually called me late in the day around 4pm to say, “Mr. Miller, you have not been forgotten, as soon as someone is available they will be sent to your house.” This is very thoughtful to a man in a hot house with a wife and kids in a hot house. Without exception, every one of the guys who came to my house was fantastic in how they approached their job. Every one of them, shook my hand, introduced himself, and asked what seems to be the problem. All worked quickly and were very courteous to everyone in my family. They also included tips regarding the frequency of changing filters and it may be a good idea to keep ants away from the outside units as best I can. I will not hesitate to recommend Edwards to any friend or co-worker of mine. Also, I would not consider calling any other company. You guys are doing a great job in training your employees and I appreciate a company I can have confidence in to fix what is broken. Your company is a good example of doing it right. I had to have some repair on my home air conditioning system. Our daughter had recommended you and it was a good selection. Your technician found the problem, fixed it immediately, and presented my wife with a startling bill, ie, $82. She was here alone and I had briefed her on what might happen to a “soaring bill.” With your technician’s knowledge and the small bill, I am sure when and if another problem does arise, you will be the one to fix it. Thanks for your promptness and expertise. 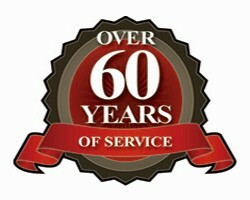 We are so pleased with all the workers and products from Edwards over the past 20 years. Your plumbing crew has done an extraordinary job every time they have been out – replacing faucets, installing the disposal, and clearing up clogged pipes. Our house would simply be a leaky, backed up mess without them. They are always courteous, professional, and loads of fun. I hate it when I have to be gone when they show up to work at my house. Everything done to perfection. There is a reason why we have relied exclusively on Edwards for all of our plumbing and air conditioning needs for more than 30 years. Everything they do is focused on helping their customers. They are always there when I call. I always get a polite, and more important, and accurate answer to my every question. They come as quickly as they can. Not only do they confirm the appointment with a phone call before they arrive, they always arrive on time. They are the kindest people in the business. They truly respect our home and clean up after themselves completely. Other plumbing companies should keep a picture of Edwards Plumbing and Heating on their wall to remind them of what they should be like.